the prevalence and geographies of obesity in the United States. 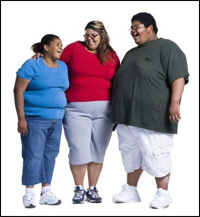 This WebQuest is designed for 9th grade students to discover obesity personally, for teenagers in general, and at a state and national level. Students work collaboratively as they search for information on the Internet and apply it; then, students work individually to "personalize" the information. The products of the WebQuest include (1) an annotated bibliography complete with questions/answers and calculations, (2) a food diary, and (3) a reflection paragraph. These products are to be created using Word and Excel and submitted as attachements in a email to their teacher so that they may further their use of information technology.